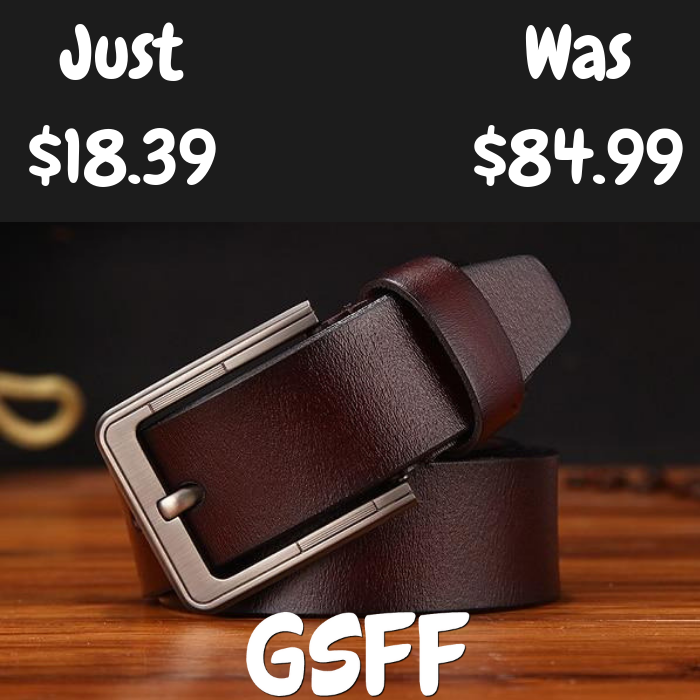 Men's Leather Belt Just $18.39! Down From $85! PLUS FREE Shipping! You are here: Home / Great Deals / Black Friday Deals / Men’s Leather Belt Just $18.39! Down From $85! PLUS FREE Shipping! Men’s Leather Belt Just $18.39! Down From $85! PLUS FREE Shipping! At Overhalfsale, you can score this Men’s Classic Leather Belt for just $18.39 down from $84.99 PLUS FREE shipping when you use promo code BLACKFRIDAY at checkout! This is a great gift idea especially this Christmas! There are different colors to choose from!